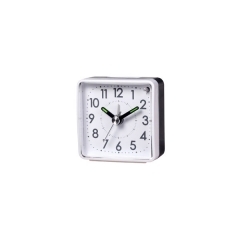 Both functional and decorative, our small metal wall clock make it easy (and fun) to stay on schedule. 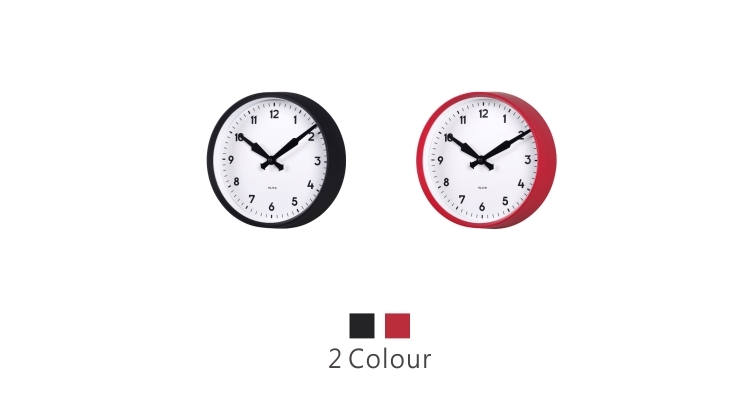 Crafted from plastic, these thick case UK style wall clocks are lightweight but durable enough for all purpose decorating. 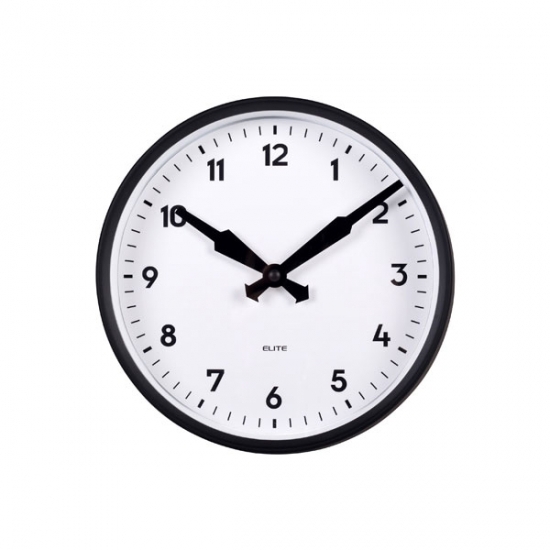 Hang our battery-operated black and white face wall clocks in classrooms, offices, waiting rooms and more. 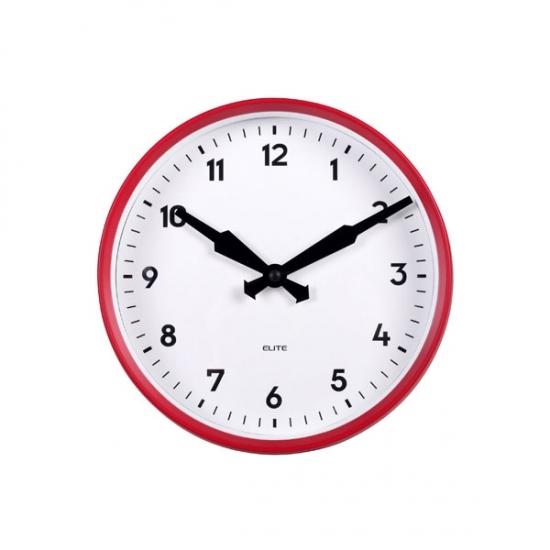 Design with British style of the 1950s, a classic look of appearance, clock hands. 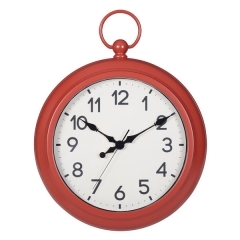 With black and red color, Arabic numerals and time scales. 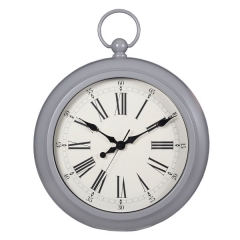 This gorgeous minimalist design pocket wall clock is the perfect addition to your vintage inspired home decor. 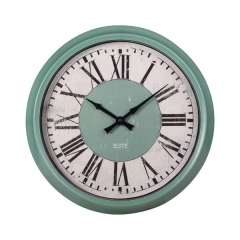 The battery power retro wall clock features a ancient dial face, retro markers and industrial-look blue case form a stylish antique feature. 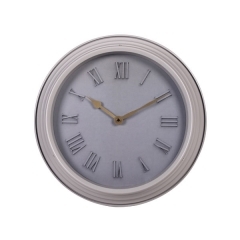 A overall retro grey design vintage wall Clock, with Roman numeral on the dial, bronze clock hands. 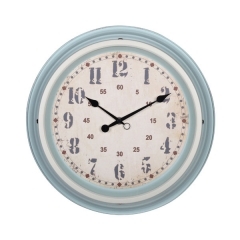 Transform your kitchen or dining room into retro diner chic with this quirky but antique looking wall clock. The simple but classic style showcases bold black Roman numerals and the dial design can be customized to a design of your choosing. There's a sophistication to simplicity that elevates it beyond everyday style and trends. 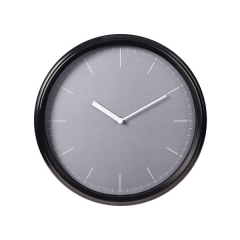 This elegant watch wall clock touches on minimalist design and vintage style. Color is nice, but you love the elegance and chic of all black. 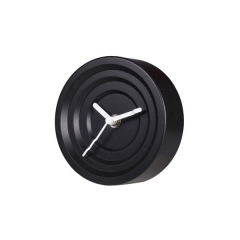 Weave that sophisticated style into your home décor with this black on black stainless steel wall clock. 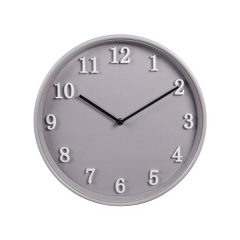 The creative metal wall clock, different from traditional paper dial, the twelve transparent acrylic Arabic numerals are used as the scale to form a visual floating effect. 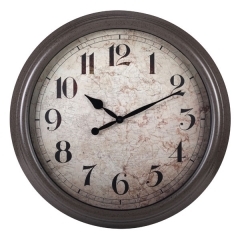 Sophistication is an understatement when it comes to describing the design of this large brown wall clock. Enhanced with a rusted effect that gives the impression of age, the clock looks as though it has been kept away in a time capsule. 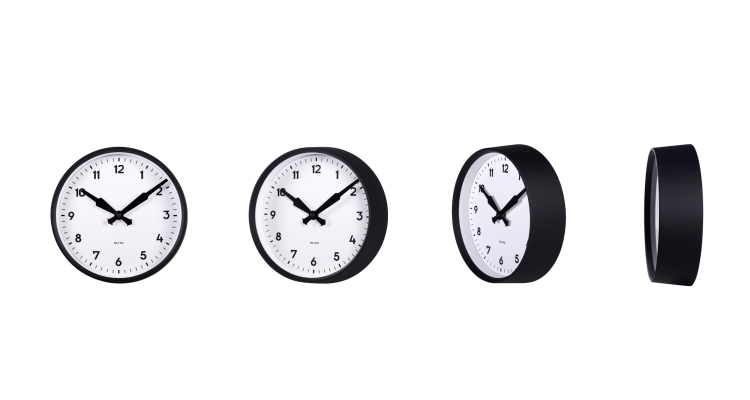 Don’t just buy a clock, buy a functional art piece. 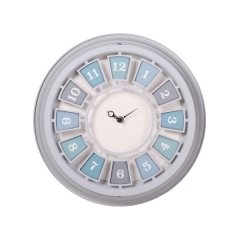 This stylish wall clock has it all, contemporary style, contrasting colors, and an air of sophistication. 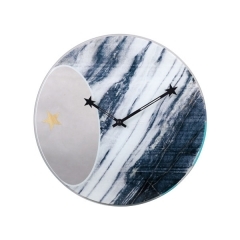 This galaxy graphic glass wall clock, derived from the galactic cosmic element of science fiction, combined with transparent design silkscreen printed on glass, with star shaped clock hands, which is like a view of the universe on a telescope.